It seems like only yesterday your baby was a tiny newborn, but in the blink of an eye they became a toddler. Babies grow quickly and outgrow their clothes even quicker. 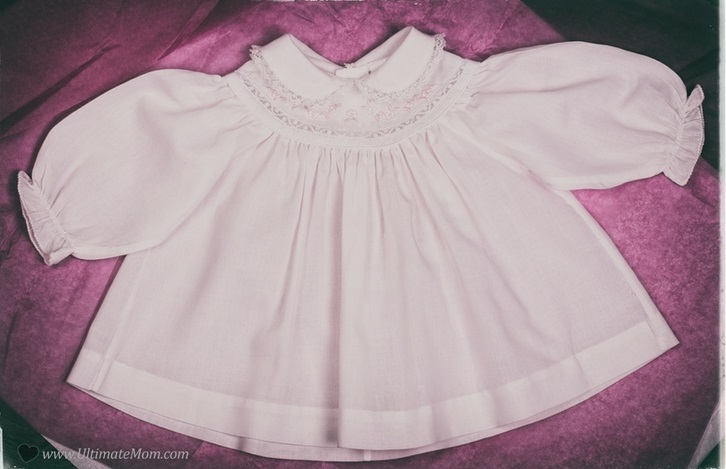 You’ve spent a lot of money on their baby clothes and many have sentimental value like the onesie their great-grandmother made them or the outfit they wore when they said their first words or took their first steps. So it can be difficult to part with their old, outgrown baby clothes. Instead of boxing them up to store in your attic or shipping them off to the thrift store, you can upcycle them into some adorable keepsakes. These keepsakes are easy to make and can last well beyond their infant years. Here are 15 adorable ways to upcycle your baby’s old clothes into something new. This cuddly teddy bear can be made with any footed sleeper. It requires some sewing skills but the free downloadable pattern and step-by-step instructions make it simple. When you are done, you’ll have an adorable keepsake that will keep your child company at night. Using the elastic waistband of an old pair of pants and fabric scraps to make simple to sew rosettes, these adorable baby headbands are great to keep your little one looking stylish through their childhood years. They can also be given as gifts at a baby shower. For a lifelong keepsake, nothing beats a baby onesie quilt. You can use all of their clothes to make a beautiful blanket they can take into adulthood and even pass on to their children one day. There are dozens of patterns online to make a baby onesie quilt, so you are only limited by your imagination. Fabric books provide an educational and sensory experience for toddlers learning how to read. By sewing together their old baby clothes you can make an adorable book that teaches them about clothing and how to get dressed. This pattern also makes an adorable, compact keepsake. No one may ever solve the mystery of where baby socks go, but at least with this fun project you can make something with the rest. With basic sewing skills you can make a patchwork snake stuffed animal you kids can curl up with and play. Babies aren’t much bigger than dolls, so this is a super simple project that tailors old baby clothes to fit dolls. So rather than spending a bunch of money buying different clothes for your child’s favorite doll, make them with these simple instructions. Leave it to the queen of domesticity Martha Stewart to come up with this clever craft. Using your children’s old baby clothes, you can make a classic Victorian-era cyanotype that can be displayed in any room. A great Christmas craft for kids, this patchwork Christmas stocking is made by quilting their old baby clothes together for a truly personalize holiday stocking. The instructions are pretty straightforward and easily customizable to make any size or shape stocking you’d like. A baby clothes bouquet is another way to make a compact keepsake of all your sentimental baby clothes. Once you’ve mastered the technique, you can use new baby clothes for a creative way to present a gift at your next baby shower. Another Christmas craft for kids designed by Martha Stewart, is to use old mismatched sock to make an advent calendar bunting for the holidays. Fill with small toys or candies, and have fun with your little ones counting down the days until Christmas is here! This project uses a little extra fabric to transition old onesies into adorable toddler dresses. Use layers of toile for a tutu or a simple cotton fabric for an easy day dress. Not only will you save money, your child will be styling! Dog tees are surprisingly expensive. So instead of shelling out a bunch of money to keep your furbaby warm, use an old onesie to make an adorable shirt for them. These dog tees are so easy to make, you can crank a couple out in an afternoon. When you child becomes a toddler, they start learning their ABCs. For a fun interactive toy to help them recognize and remember their letters are these plush alphabet letters. The instructions use old scraps of fabric, but you can easily use any of your baby’s old clothes. A stylish and cute way to keep your kiddo’s head warm is with a knit baseball cap. These are made simply from an outgrown onesie and can be customized to fit your baby’s head perfectly. You can even embroider the front with your favorite team logo or throw a couple patches on it for a truly adorable look. If you have baby clothes that are very sentimental, perhaps they were passed down through the family or a gift from someone special, you should consider framing them. Framed baby clothes make a wonderful piece of wall art for your child’s bedroom or even your living room or craft room. If you use non-glare glass, you can preserve the clothes for the next generation.